Packed in aluminium sealed bags or under individual Flowpacked bags, all our recipes are available in these formats. 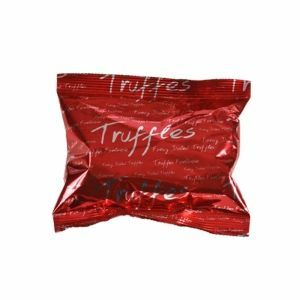 2 different ways to offer our truffles in bulk : under individual bags or sealed bags of different size. Easy to use, economic and trendy, our “Bulks” allow you to choose your favorite truffles in bigger format, available in 2.6 kg or 3 kg.